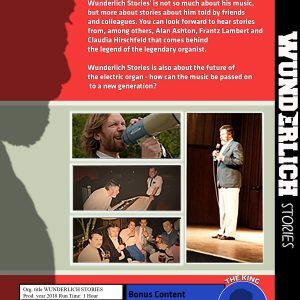 Continuing on from last year’s WUNDERLICH documentary, focusing on stories, memories and anecdotes of the great man. October 2018 ‘sequel’ to last years WUNDERLICH documentary which told the story of the legendary organist. This documentary continues from there, focusing on stories, memories and anecdotes of the great man. 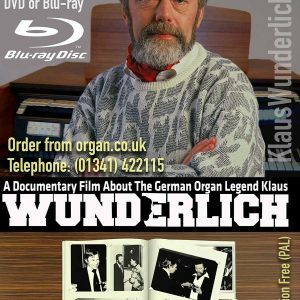 Most of the people from the first documentary have more stories to tell (against the backdrop of some of Klaus’ music). INTERVIEWS: Alan Ashton, Dorothy Timperley, Mark Whale, Claudia Hirschfeld, Franz Lambert, Ole Erling, Brett Wales and Claus Riepe. An interview with the late Mark Whale, who died earlier in 2018. 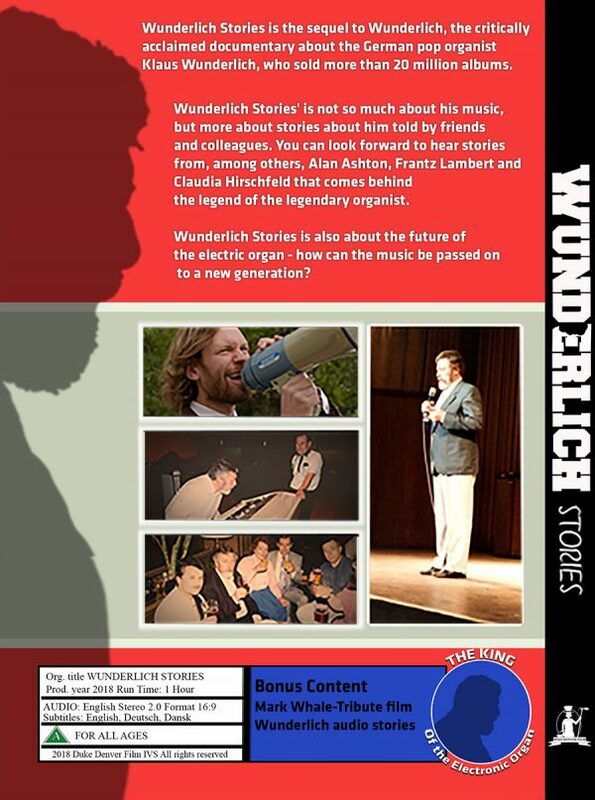 Audio Stories: Some anecdotes from Alan Ashton. 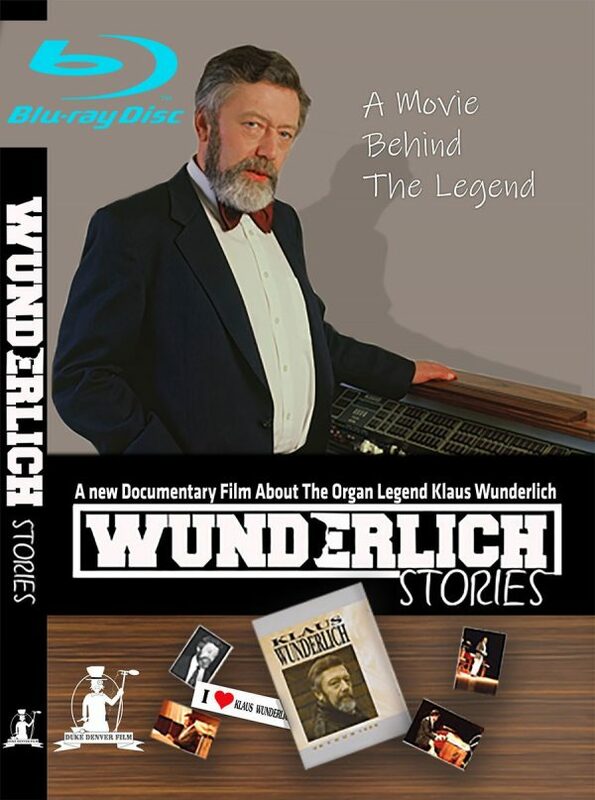 Continuing on from last year's WUNDERLICH documentary, focusing on stories, memories and anecdotes of the great man. 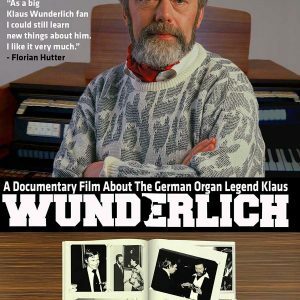 New documentary telling his story. Danish Import Blu-ray. 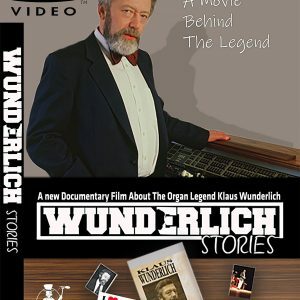 New documentary telling his story. Danish Import DVD.